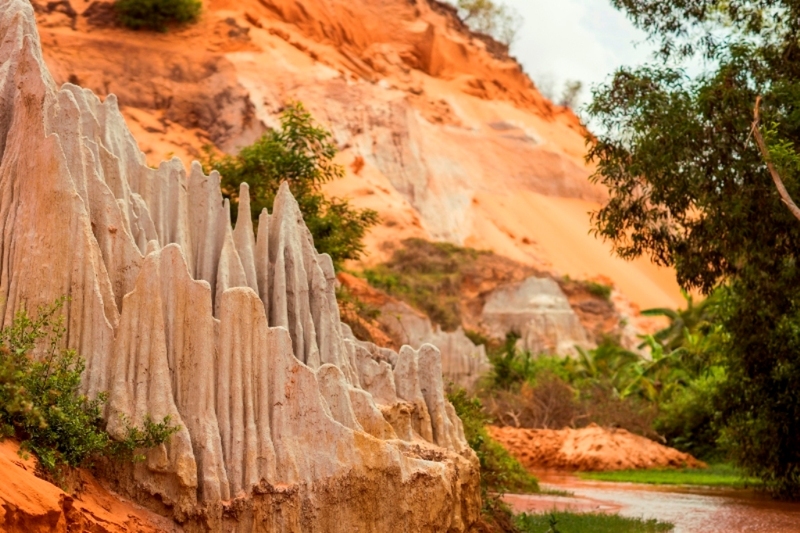 While Mui Ne and Phan Thiet have beautiful stretches of beaches where you could be happy simply laying out all day, every day, here are some of the area’s scenic spots that are perfect for a half-day trip! Just south of town, the Fairy Stream (Suoi Tien) makes for a great little walk. 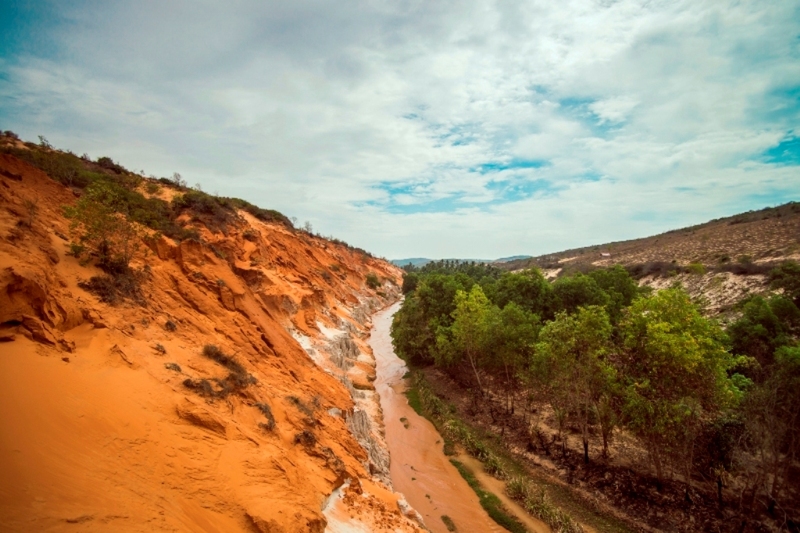 The orange-brown water takes its color from the beautiful sandy cliffs on one side, with green trees on the other, providing a beautiful contrast. The water is very shallow (knee-deep at some points, but usually just ankle deep), so feel free to take off your shoes and wade through the cool water! There are also white sandy formations to break up the landscape and strangely, a small enclosure where you can ride an ostrich (!) for a small fee. Who knew that ostriches were rideable? It’s just part of the charm of the Fairy Stream! Allot a couple of hours to walk the entire length of the stream and back. Also expect to see some of the local schoolkids enjoying the sights. 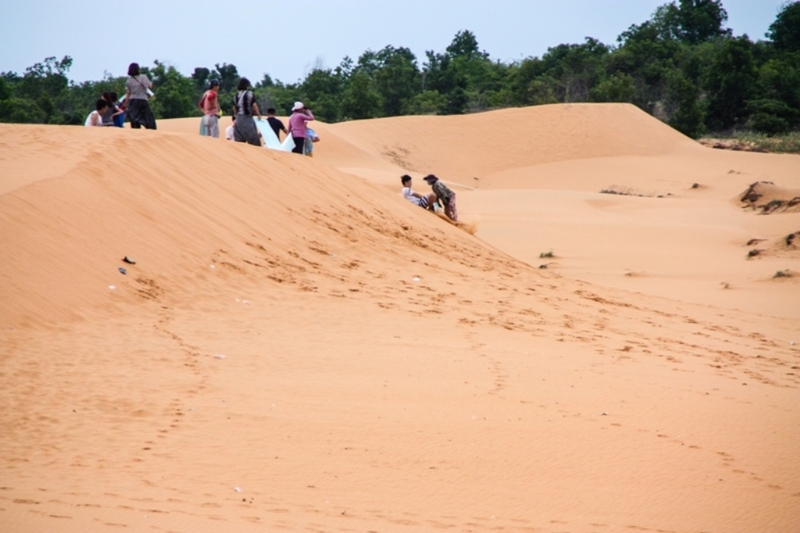 Staying with the “sand” theme, there are red sand dunes right in town. Park across the road at one of the many restaurants and walk up the hills. Tons of kids will be hanging around to rent you a plastic sheet that functions as a sled. The dunes themselves aren’t very steep, so expect to slide down 5 meters at most. The dunes make a great backdrop for photos. Sellers will haul drinks and snacks up for those post-sledding munchies. 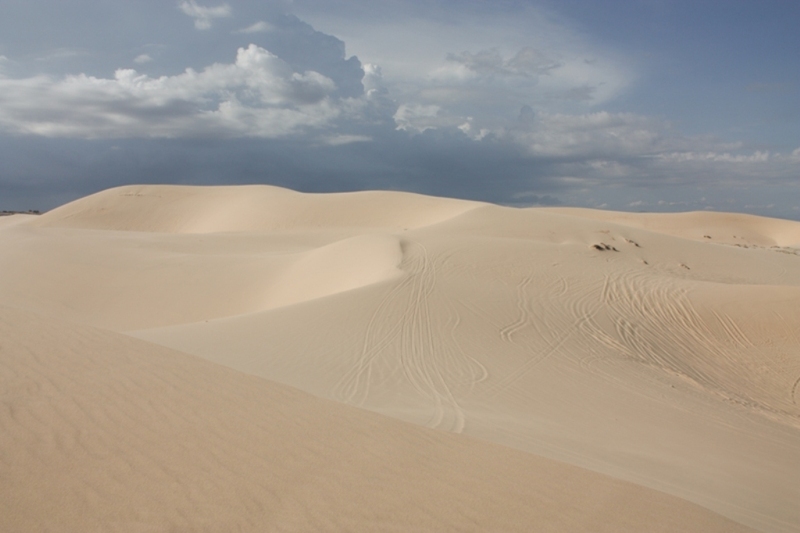 While the red dunes are fun, the real adventure seekers know to head out to the white sand dunes about an hour’s drive from town. 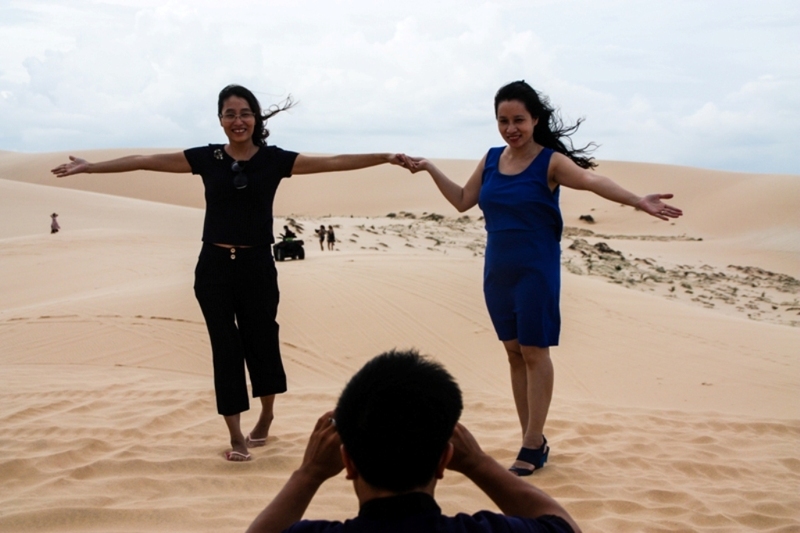 Most visitors have to do a double-take when they get there, as it’s highly unusual to find towering sand dunes in the middle of tropical Vietnam! 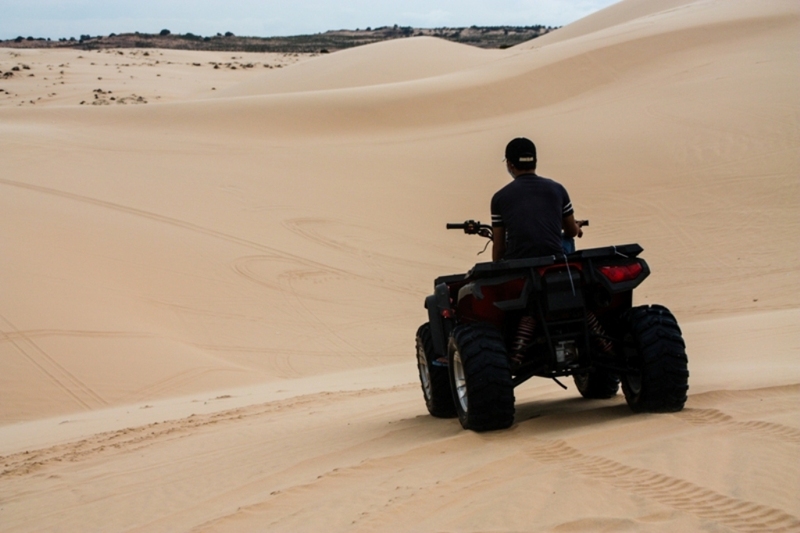 … or rent an all-terrain vehicle and zip around the dunes. You can choose to have one of the staff drive you around to the best spots for photos or you can take the ATVs out on your own. There’s no track to follow – just have fun and avoid hitting other people! Prices are clearly posted, so no bargaining is required. 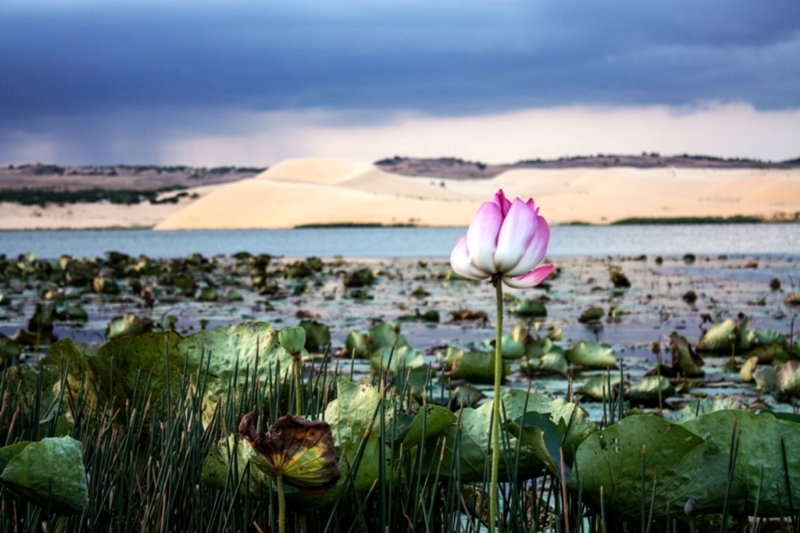 As you approach the dunes, ask your driver to stop at the lotus pond for striking pictures with the white dunes in the background. There are also other, smaller ponds scattered around the area. 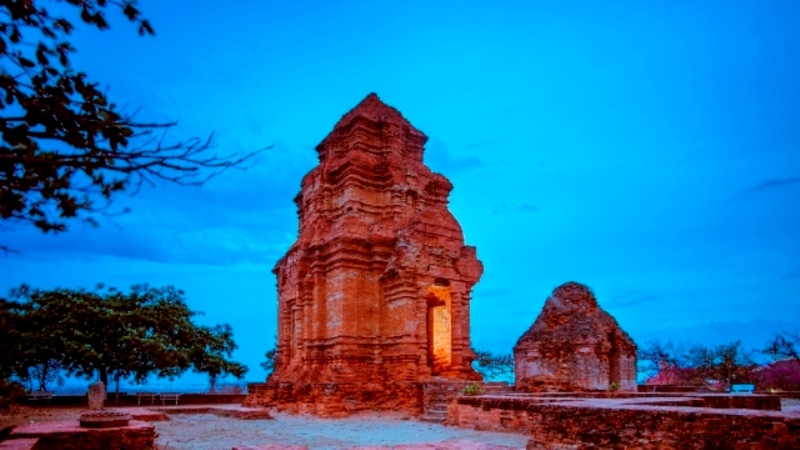 The area around Phan Thiet was actually controlled by descendants of the Champa Kingdom, a seafaring people who originated in Borneo, until the late 17th century. What remains of their civilization are three brick towers built on a hill overlooking the town. The towers date back to the 9th century and were built to worship the Hindu deities: Lord Shiva, Agni and Nandi. The main tower is the largest, measuring 15m high, with the other two slightly smaller. 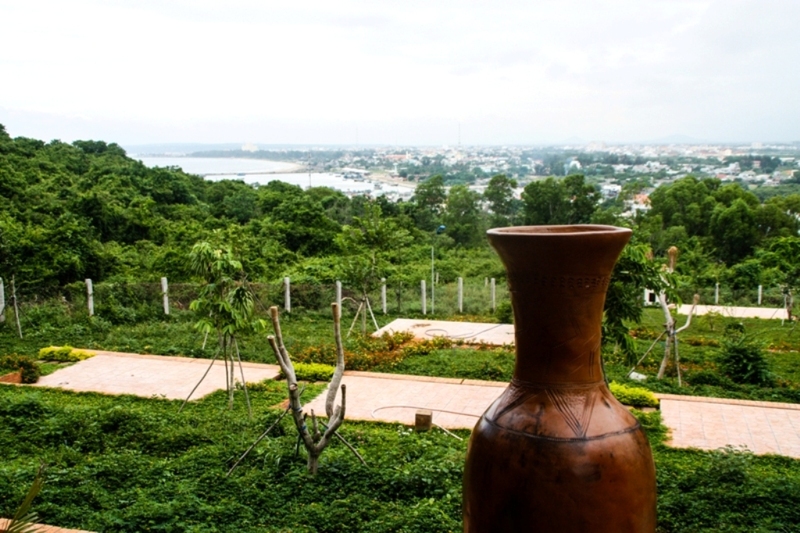 Come just before sunset for beautiful views over the town and the sea. … and there is sometimes a weaving demonstration, showcasing the art of weaving at which the Cham were reportedly very skilled. 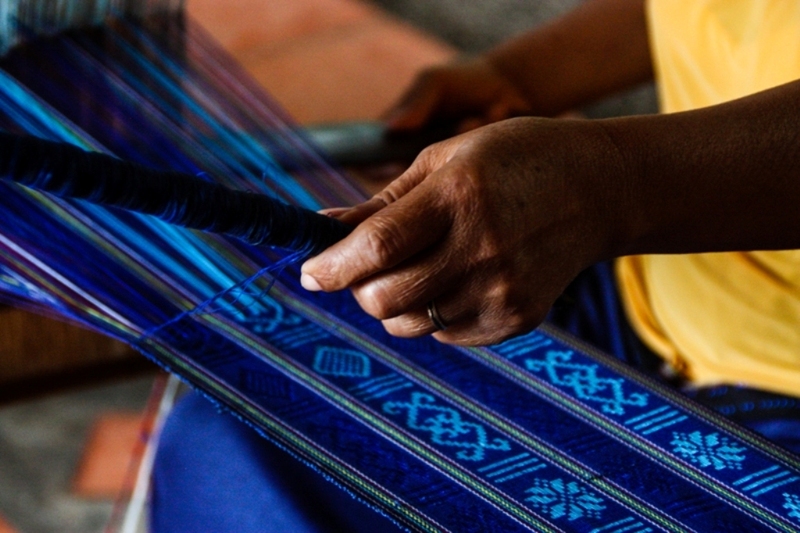 The Cham minority groups continue to handweave colorful textiles for use during important ceremonies. 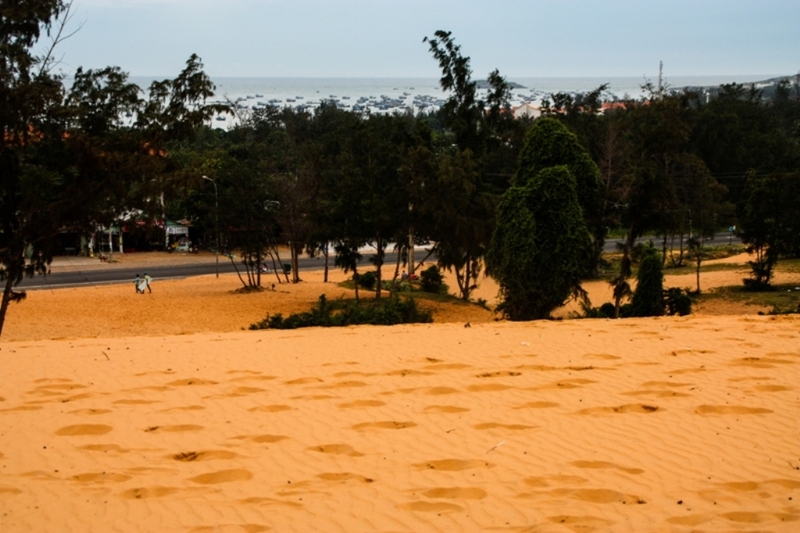 These are our top recommendations for scenic Phan Thiet / Mui Ne! 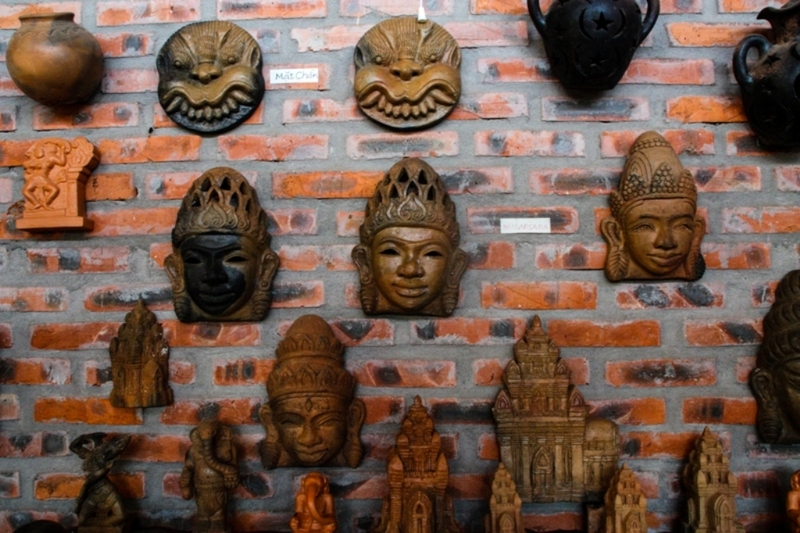 Have you been to any of these places? Or did we miss any? Tell us in the comments below! 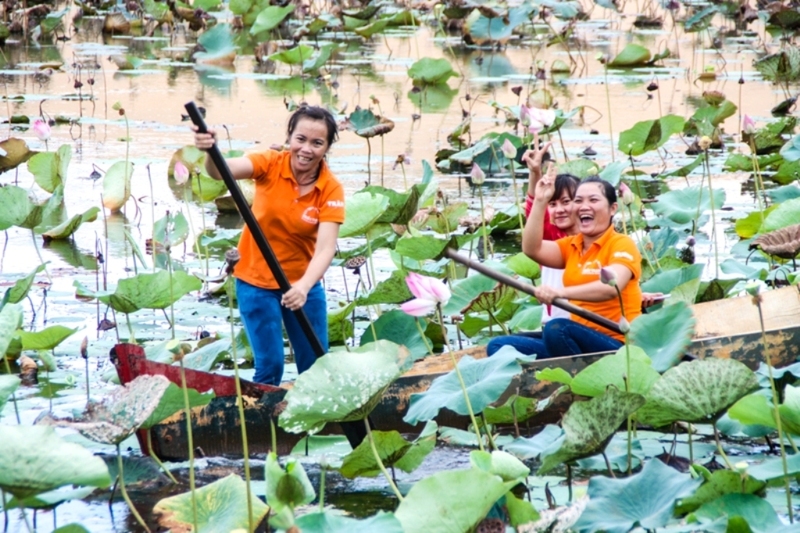 All of these places can be visited on day trips arranged by Victoria Phan Thiet Beach Resort & Spa.